In their first game under re-appointed Coach Warren McLean, the Maxol-sponsored Carrick 1st XV produced an excellent team performance to claim a 17 points to 8 away victory over Enniskillen. This win – their first since the beating Portadown in early October – lifts Carrick into seventh place in the League, four points clear of Enniskillen and five clear of CIYMS and Coleraine and with a game in hand on each of them. The performance on Saturday was a full-blooded, 1 to 17, team effort from a group who played like they felt they had something to prove. With the returning Paul Greenaway at tight-head, the scrum was dominant throughout and the pack provided the backs with plenty of good “go-forward” ball throughout. Even the loss of Curtis Rea, who had been influential in the line-out, and Ross Crymble before half-time made little difference as prop Gareth McKeown performed well when he had to move to the back-row and replacement prop Adam Gibney put in a very good performance. Brian Alexander, who replaced Ross Crymble on the wing, did not put a foot wrong and in this he mirrored the efforts of the Carrick backs as a whole in probably their best collective performance of the season. Carrick set out their stall early on, came flying out of the blocks and, when Paul Greenaway and Chris Rodgers combined to knock Enniskillen’s best ball-carrier back about ten metres early on it looked set to be the visitors’ day. The returning Ross Marsden tackled as only he can whlle the new set-up in the backs worked well. Out-half Jack Burton, who had an excellent game, combined well with centre Johnny Sheriff to create space for their colleagues which full-back David Carse and Fionn McCormack in the centre were able to exploit. On a breezy afternoon, the back three of David Carse, David Moore and Brian Alexander dealt comfortably with the Enniskillen kicking game. Following a strong start, despite playing into the breeze, Carrick took the lead after ten minutes when, after good driving play by the forwards, Jack Burton made the initial incursion and the move was carried on by David Carse who put Fionn McCormack in for the try. McCormack added the conversion points to give Carrick a 7 points nil lead. There was no further scoring until just before half-time when Enniskillen converted a penalty to make the score at the break 7 points to 3 in the visitors’ favour. 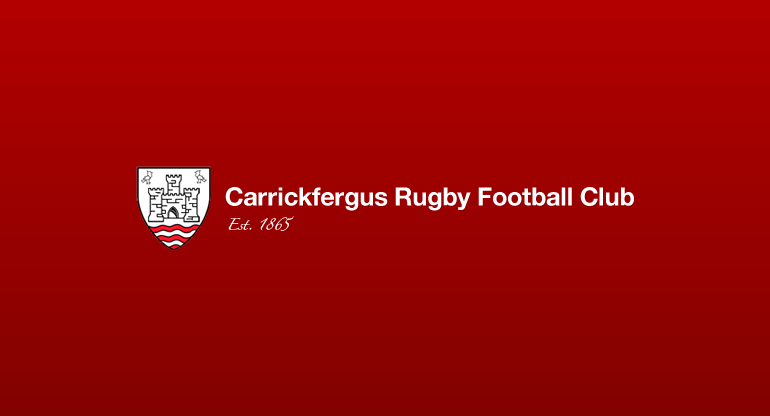 Carrick lost a man to the bin for the offence which gave Enniskillen their points and the hosts took advantage early in the second half when they scored an unconverted try. However, Carrick quickly regained the lead at 10 points to 8 with a Fionn McCormack penalty. This remained the position until the closing stages when the backs combined to put Jack Burton in for a deserved try. Fionn McCormack converted to give Carrick a 17 points to 8 lead which they held until the final whistle. This was one of Carrick’s best performances of the season and will have particularly pleased Coach Warren McLean who in his previous period in charge was in large measure responsible for putting Carrick in the position from which they were able to win promotion to Section 1 of the League. Carrick now face CIYMS (away) and Portadown(home) on successive Saturdays and victories over these fellow bottom half sides would do much to take Carrick comfortably clear of the relegation zone. D. Carse; D. Moore, F. McCormack, J. Sheriff, R. Crymble (B. Alexander); J. Burton, C. Cambridge; G. McKeown, A. Whitley, P. Greenaway, C. Rodgers, I McMenamin, C. Rea (A. Gibney), R. Marsden, R. McGonigle (Capt).